Last night we continued our mission of spreading the good word of the dram, with yet more dramspanking dramfotainment in the form of one of our Twitter trending Tweet Tastings. 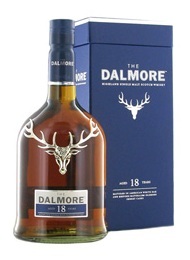 This time round we sampled and savoured some of the distinguished dramming delights on offer from The Dalmore distillery, which we enjoyed in the order of their 15 Year Old, Cigar Malt Reserve, 18 Year Old and the remarkably right royal rollicking King Alexander III bottling. @LRWhisky An initial mixture of burnt honey on toast with a little sprinkling of coconut. Quite liking this! @WhiskyDiscovery Getting the milk chocolate box notes now, all flavours coming out oranges, toffee, coffee, fudge 7 nuts. @rodbodtoo Tastes very mellow. Malty treacle toffee (which BTW totally ought to exist) & burnt orange oil. @TheWhiskyWire A winter spiced chocolate orange with a toffee coffee crumb. @MaltBox Toffee & Anzac biscuits. Quite punchy, hits of smoky bacon wheat crunchies. @dvdbloke Dark sherried fruits, caramel, chocolate, coffee, old leather notes in the background. @ifotou Dried fruits with crushed coffee beans, touch of tobacco and nutty flavours, more Brazil nut than peanut though. 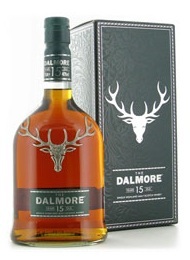 @TheWhiskyWire Sherried fruity sweetness merged with a tobacco'd citrus twang. @TonyWTC Classic highland; spicy and sweet as the 15 but a little more discrete in revealing it. @FrazerJ Orange zest & vanilla with marmalade & sultanas. @JayDieNL There it is... dark chocolate with sultanas.When I smell it, I visualize the chocolate bar. 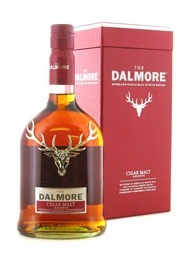 @TheWhiskyWire A deliciously decadent depth of balance to the nose. A bourbon kiss & a sherried cuddle, in no hurry to go anywhere. @Maltbox I get shreddies, maple syrup, red grape, liquorice root and marmalade. @rodbodtoo Tastes delicious. Mellow, yellow & red fruits (fresh not dried) a bit of bite, subtle biscuity malt. @WhiskyDiscovery Light and very fruity, with a neat spicy edge to it. There's a Clementine orange taste and lots of vanilla. @TheWhiskyWire An initial whiff of Jamaican ginger cake, cherry cough syrup & a foam banana from the pick'n'mix. A huge thanks to everyone who took part and followed last night’s dramanagins. There are plenty more Tweet Tastings to come in 2013, so if you would like to be one of our tasters, register your interest and contact details now by emailing via the contact tab marking the subject line ‘Tweet Tastings’. Until next time Happy Dramlaxing!